Carolyn (Connie) Roberts was born in Oregon City, OR to Bill and Evelyn Roberts of Gladstone, OR. 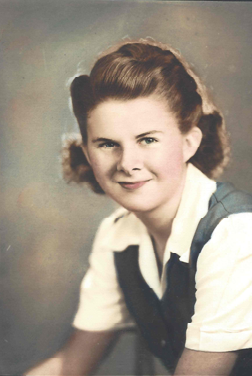 She lived most of her life in the same house on Arlington St. and worked various secretarial jobs for government agencies including Clackamas County Social Services and positions with the Federal Government. Carolyn loved swimming, volleyball, and working in her yard. She made a trip to Wales to visit old family places, and also climbed Mount Hood with her father once. She was active in the Gladstone Christian Church and played the organ for many years for the Welsh Church (Bryn Seion) in Beavercreek, and she met regularly with classmates from her 1945 Oregon City Sr. Hi class. She was predeceased by her parents and her brother, Donald. No service is planned, but desired remembrances can be made to either church or the Casey Eye Institute.